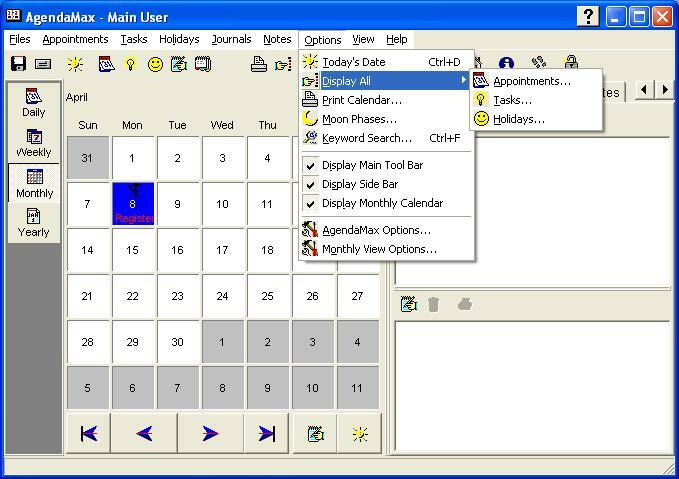 AgendaMax Plus - Calendar software that tracks your appointments, tasks, holidays, notes and daily journals. Displays your life by the day, week, month or year. Isn't it time your life was organized? A powerful yet simple to use personal information manager.